Save AED 23 (52.27%) – Earn 2 Shukrans What is Shukran? Shukran is the Landmark Group’s award-winning loyalty programme in the Middle East, which allows you to earn Shukrans when you shop any of our brands. Get this attractive and adorable sleepsuit and let your darling sleep in peace at night. 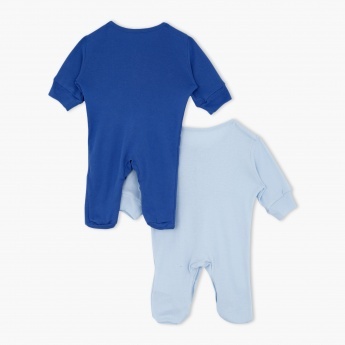 Boasting an attractive print on the chest, this bodysuit comes with closed feet and hands making it a cosy pick and have a press button closure.